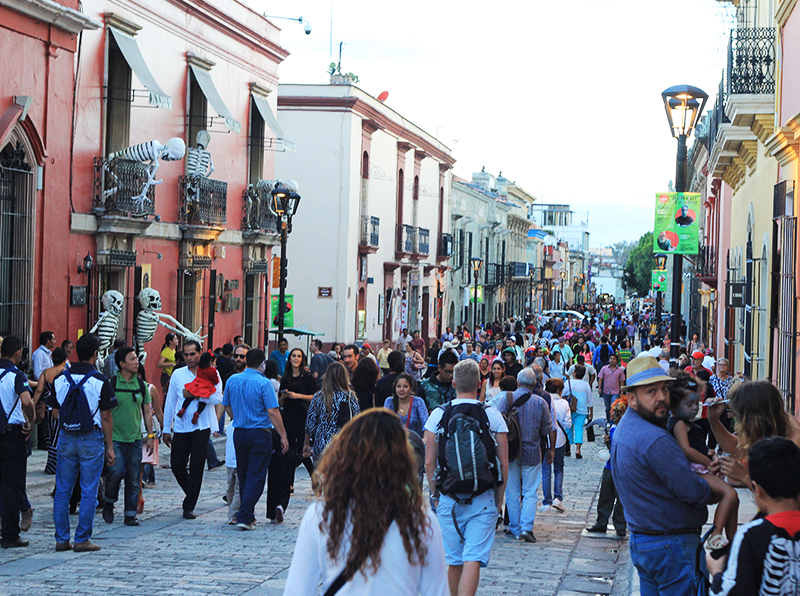 The Day of the Dead is an extremely important holiday and a symbol of Mexican culture. As we travel to Mexico to experience the festivities, join us to discover the traditions and rituals that surround the meaning of this day. Our first stop in Mexico was the festive and cultural hub that is Xcaret Park. 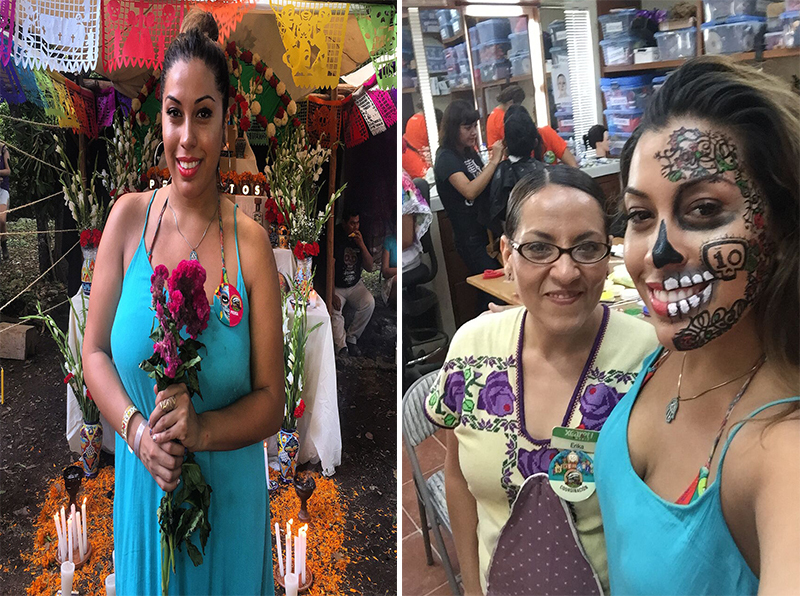 Ericka Jasso, head makeup artist, was there to illuminate on the symbolic makeup that is worn on Dia de los Muertos, and to answer all the questions we were dying to ask. Why is only one half of the face painted? 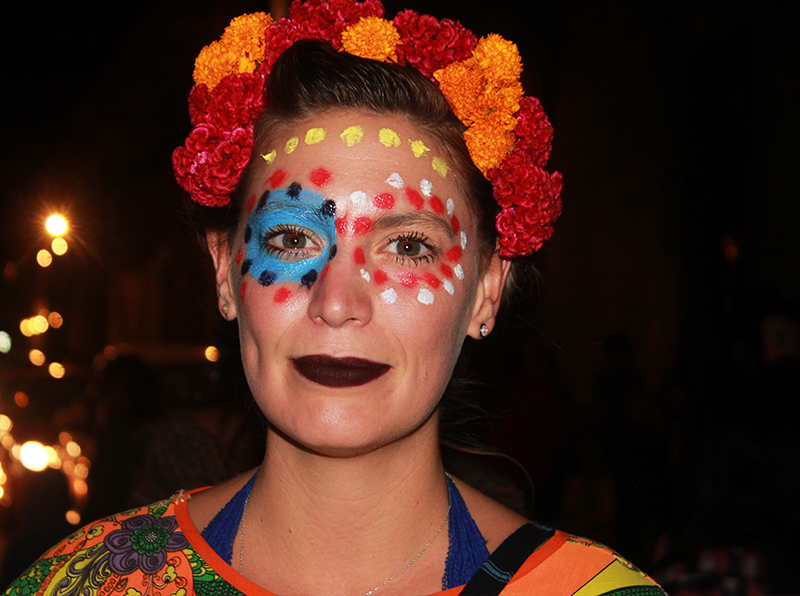 After getting an artistic face paint, we headed to Oaxaca to take part in the giant celebration. 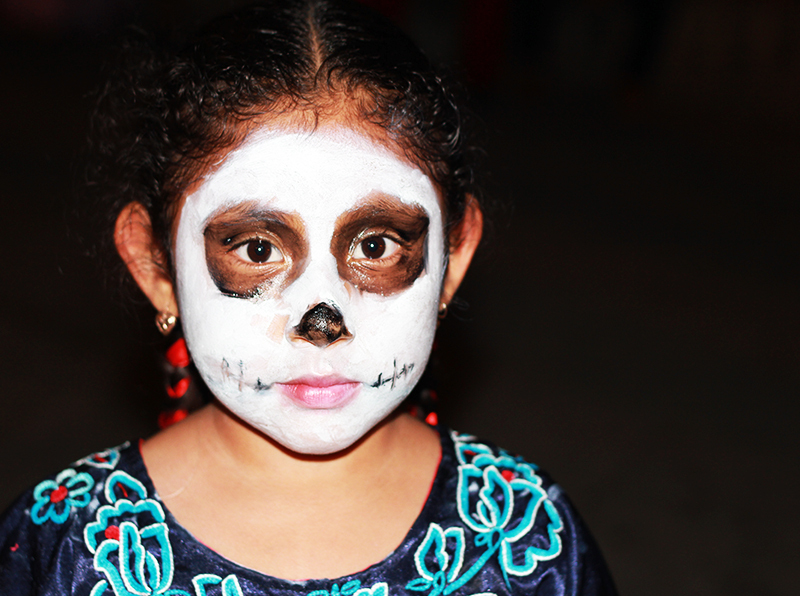 There were painted faces everywhere, long braids, people dancing in the streets, music all around, candles, and skulls everywhere. Seems pretty lively for a death celebration. 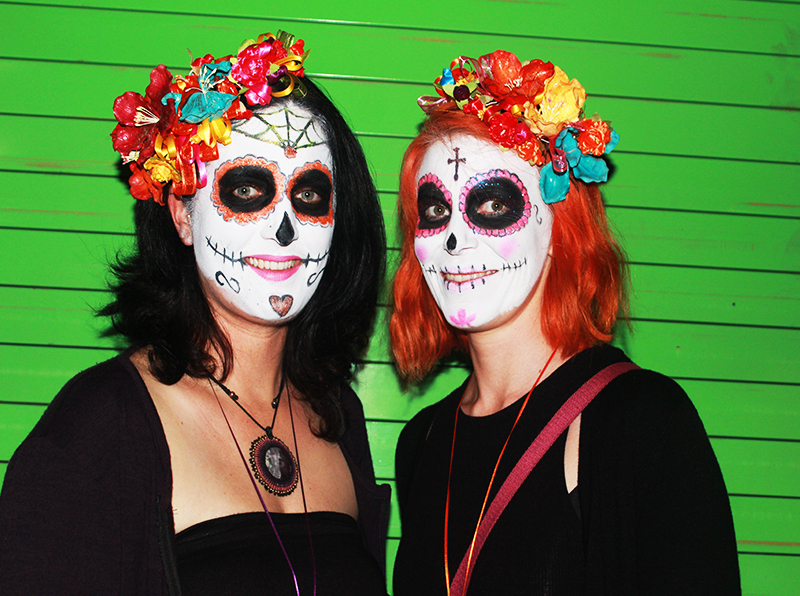 Skull imagery is everywhere, from face paint to dolls, to food. But it’s not about trying to be scary. The skulls are everywhere actually to remind us to not be afraid of death. Even children have no fear of the otherwise spooky decorations because they understand the traditions. Skulls are worn to overcome the fear of death and internalize the idea of mortality. We’re dead serious. Our deceased loved ones are no longer in their bodies, as they’ve passed on, but their spirits come back to visit on this day, so the family provides offerings. Everything begins in the home, where families create altars with flowers, incense, offerings and skull decorations, some with names on them. The whole family comes together to celebrate and prepare the favorite food of the deceased to honor them and remember who they were when they were alive. 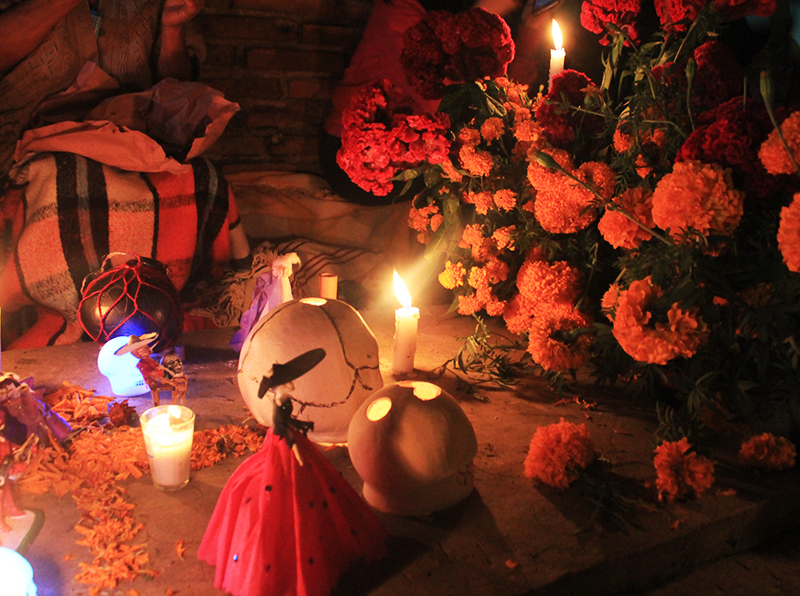 To further honor the dead, Mexican people create altars on the gravesites as well, adorned with flowers and candles. 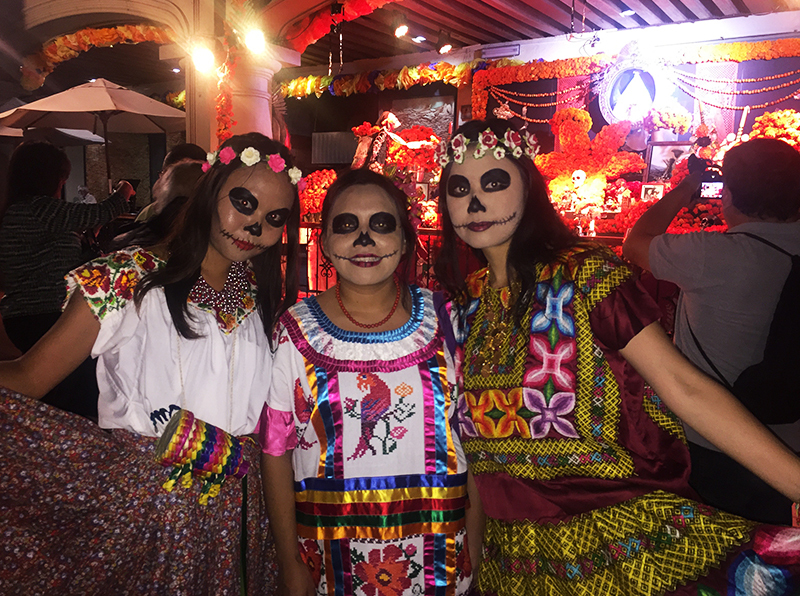 The Day of the Dead is a beautiful tradition that turns our fear of death into a cause for celebration. Filled with tradition, love, and gorgeous makeup, this day is never forgotten. 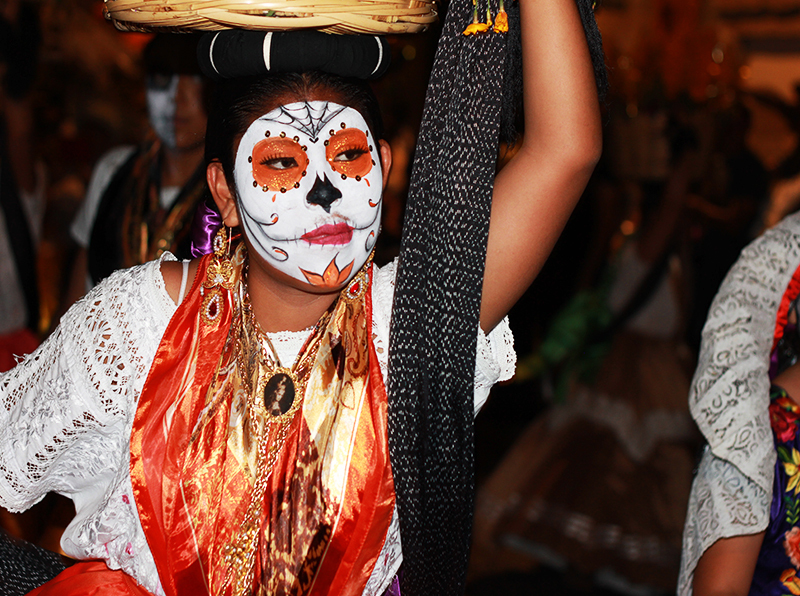 We’re planning a Day of The Dead Tour to Oaxaca in 2019, and we bet you’re dying to go. 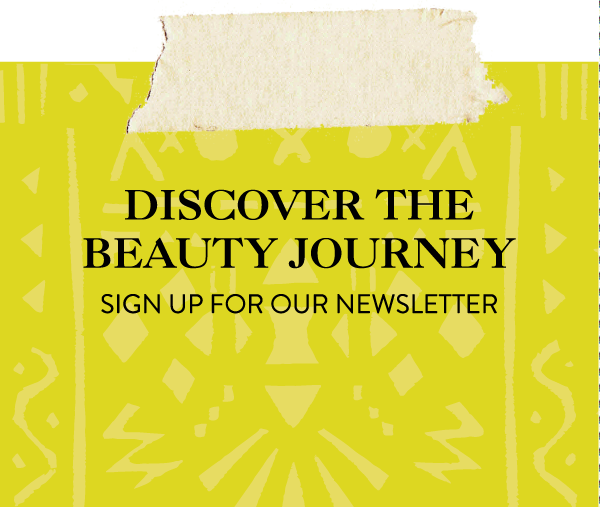 Click here to get more information and be the first to know when we start taking applications. I need to go on the Mexico Beauty Journey next year to be able to live this firsthand! !